My new Crow (for The Crow House, natch) and I spent yesterday with Wenlock Books Poetry Summer S chool and 13 enthusiastically cawing children. 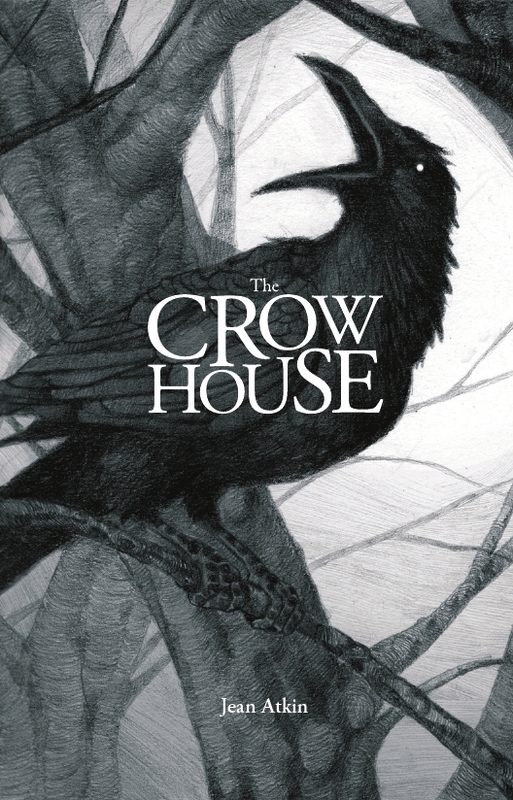 I explained to the group the strange tale of the crows that lived in the tall trees, right in the middle of a small town by the sea in southern Scotland, and read out an extract from ‘The Crow House’. 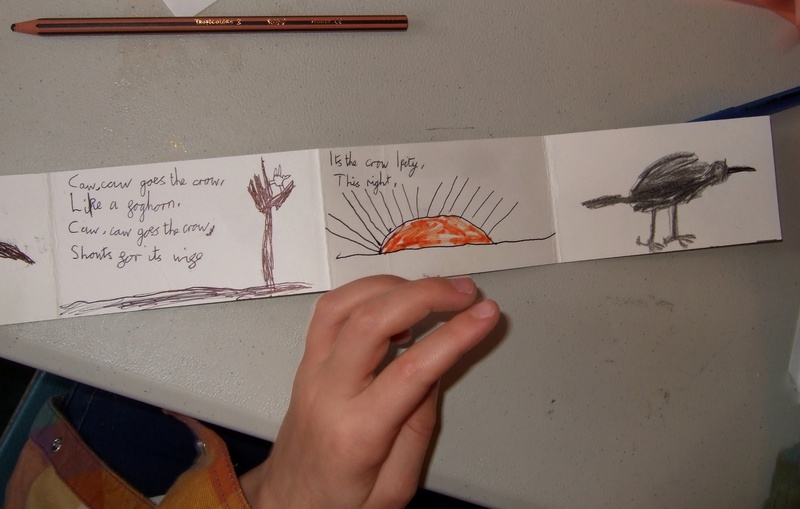 Then we shared everything we knew about crows, all the goriest bits, and they wrote copious drafts. 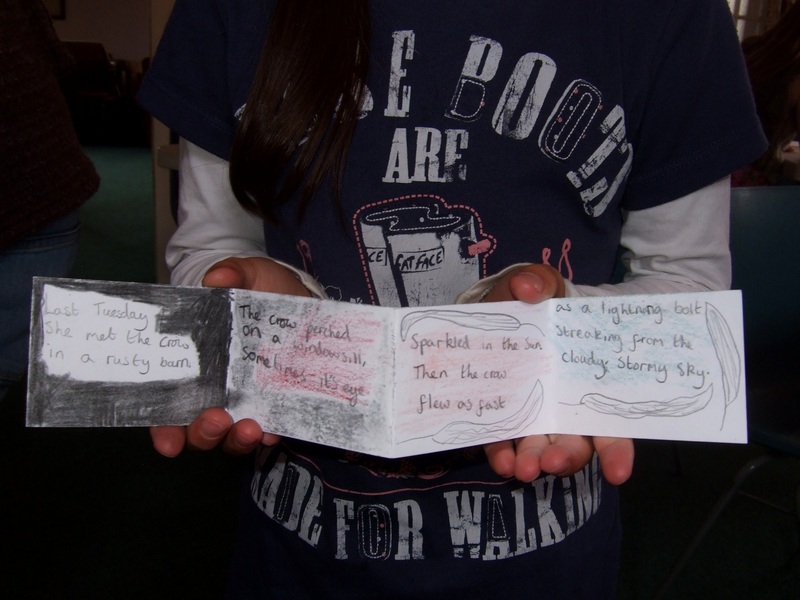 I love discussing the drafting of poetry with young children – we talked about line-endings, the verb tense they had chosen to write in, whether the poem would work better in the first person, or would be more freeing for them if written in the second or third person, when you do, and when you don’t, need that adjective… From the drafts, the children made and illustrated concertina books for their poems. 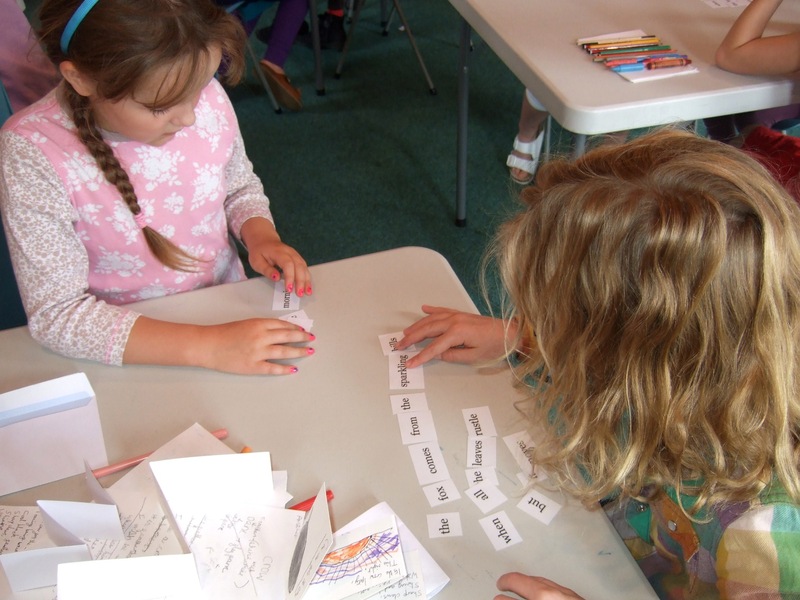 Later we played poetry puzzles – Emily Wilkinson (who’s running the Poetry Summer School for Wenlock Books this week) and I were rapt, eavesdropping on the discussions, as the children pieced together a poem. What a treat of a day. 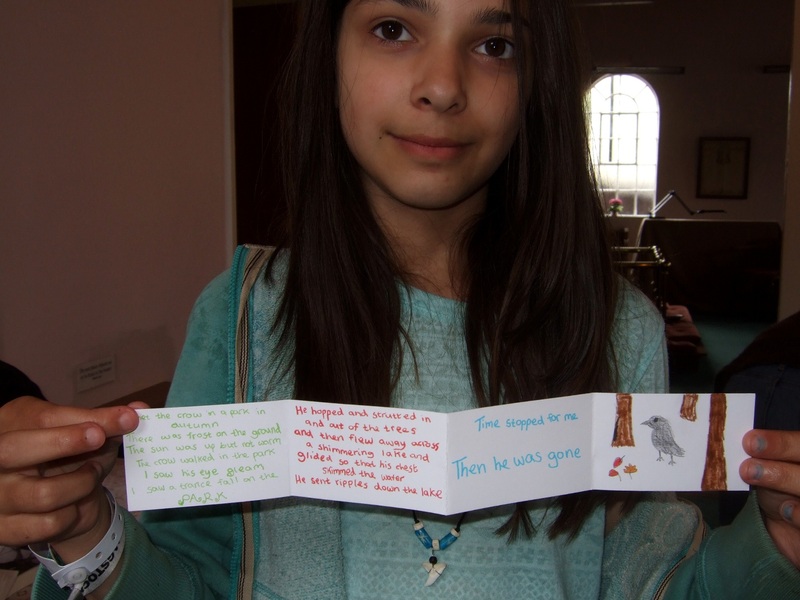 My thanks to Wenlock Books and its creator Anna Dreda!